CYBER safety expert Professor Rossouw von Solms has been awarded the prestigious South African Institute of Computer Scientists and Information Technologists (SAICSIT) Pioneer Award. This award recognises the pioneering role he, the head of the Institute for Information and Communications Technology (ICT) Advancement in NMMU’s School of ICT, has played in promoting Computer Science and Information Technology as academic disciplines in SA. The award was instituted in 2008 and Prof von Solms is the tenth recipient. The award will be presented on 8 October at a gala dinner during the annual SAICSIT Conference. Professor Von Solms has been active in the discipline of Information Technology (IT) since early 1982 when he was appointed as a lecturer at the then Port Elizabeth Technikon. From 1989 till 2005, he was the Head of Department of Information Technology at the PE Technikon, playing an instrumental role in establishing IT as a fully-fledged academic discipline. Currently, he is a professor in the School of ICT. In the early 1990s, Rossouw was core in the founding of the Technikon Computer Lecturers Association (TECLA). He also served as the first chairperson of this body. TECLA was the body that initiated and coordinated the first national curricula for IT as a career-focused, vocational discipline. Rossouw also played a leading role in the introduction of research in the field of IT, specifically at the then technikons. 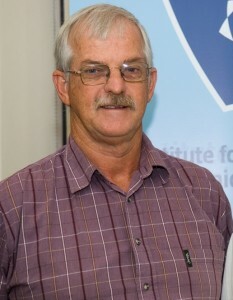 Rossouw was also elected onto the Council of the South African Institute for Computer Scientists and Information Technologists (SAICSIT) during the late 1990s. During those early years he continuously tried to establish the professional, vocational nature of IT as a discipline, as the fields of computer science and information systems dominated the computer world. He continued to serve as a SAICSIT Council member till 2012, including the period of 2006 till 2010, which he served as President. Leading by example, he has more than 50 peer-reviewed journal publications, more than 100 peer-reviewed conference papers and more than 2000 citations.